We know that you are anxious for voting your babies online, here you are… the first album for the babies #1-#60 have been uploaded to the Internet Facebook page for your voting. From the day of posted, each album will have 2 weeks time frame for voting process. And we will post all photos to individual album by batches. For those photos not uploaded yet, please be patient and we will sure post it out as soon as we received it. 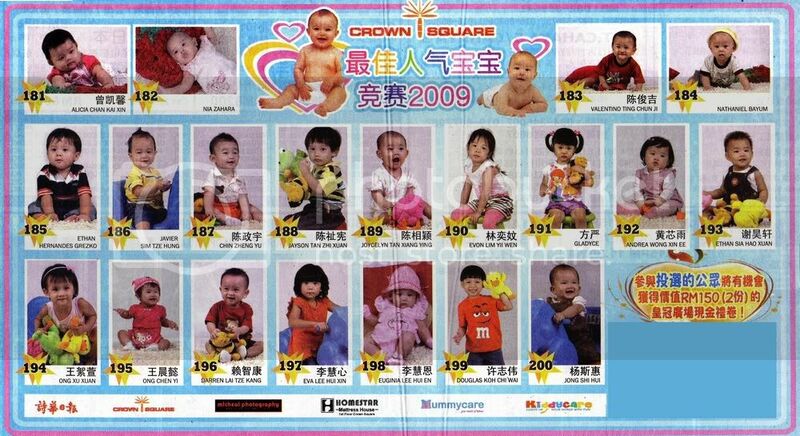 How to vote for your favourite baby? Easy easy. Choose your favourite baby photo, and “Like” it to vote. Do note that the voting period will be written in the album info. Votes after the voting period will not be counted towards the Internet Voting calculation. Thank you all for your participation and cooperation. Baby Photo Contest is here! Baby Photo Contest is here! 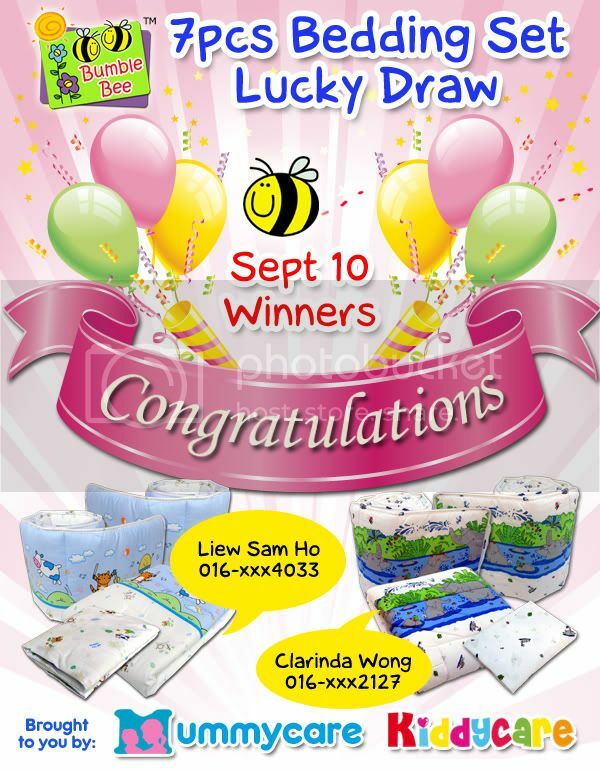 For all babies born between 2007-2010, feel free to take part in this contest. Submit a 5R photo with original newspaper entry form to International Times office. You can also drop your entry at Mummycare Crown Square and Mummycare Saberkas. 30 participants will be selected for the first round, and vote again among the selected 30 participants. 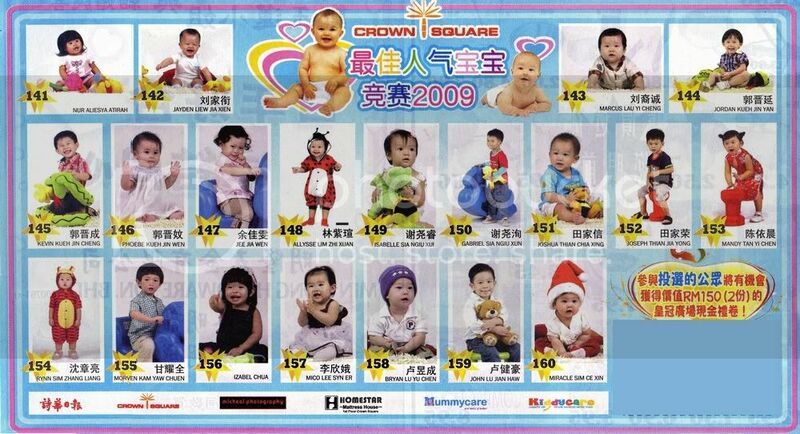 Submit your baby photo before 22 September 2010. GOOD LUCK TO ALL CUTE BABIES! We have uploaded all the selected photos to our Facebook albums. Below are the links to these photo albums, enjoy. Once again, thank you all (who have participated and contributed to this event) for making this event a success. The Xmas Bazaar@Crown Square 2009 is officially opened by YB Dato’ Yong Khoon Seng yesterday night. He hanged the very first Christmas Wish Card on the decorated Christmas tree at the main entrance of Crown Square. He visited Kiddycare and took some photos with Alicia, shook hands with us friendlily. The Xmas Bazaar have many stalls located at different levels of Crown Square, adding to the varieties of this shopping complex for the Christmas shopping. Cheers for the Christmas mood! This is the last batch of the photo published.